Easy meditation on GOD, explore your creativity. Kundalini Yoga is an ancient system of exercise, breath control and meditation using safe and comprehensive techniques that enhance awareness and increase vitality. We can be healthier, unleash healing powers, strengthen our immune, nervous and glandular systems, enjoy greater stamina and flexibility. The Gong is the only instrument that the mind has no defense against. Allow it to massage you on a molecular level. energy raising, chakras opening and glandular balancing effects of these cosmic vibrations in group consciousness. Experience the infinite with in the finite. Balance and open the Chakras. Try our easy 15 minute yoga warmup for meditation. 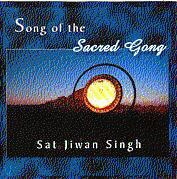 Click here to visit http://gong-cd.com or to purchase the Song of the Sacred Gong Healing Meditation CD at a discounted price on line..Please note this is a SHIPPED price. Prosperity Mudra - bring what you desire into your life, physically, mentally or spiritually. with this easy 11 minute meditation. Please note many of the meditations contain sound files if you can't here there e-mail me and I will send you the MP3 or Wav file.